The Russian style of martial art dates back to the 10th century. 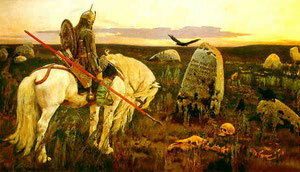 Throughout the history of this huge country, Russia had to repel invaders from the north, south, east, and west. All attackers brought their distinct styles of combat and weaponry. 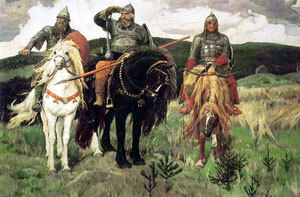 The battles took place on different terrain, during freezing winters and sweltering summer heat alike, with the Russians often greatly outnumbered by the enemy forces. As a result of these factors, the Russian warriors acquired a style that combined strong spirit with extremely innovative and versatile tactics that were at the same time practical, deadly, and effective against any type of enemy under any circumstances. The style was natural and free while having no strict rules, rigid structure or limitations (except for moral ones). All tactics were based on instinctive reactions, individual strengths and characteristics, specifically designed for fast learning.